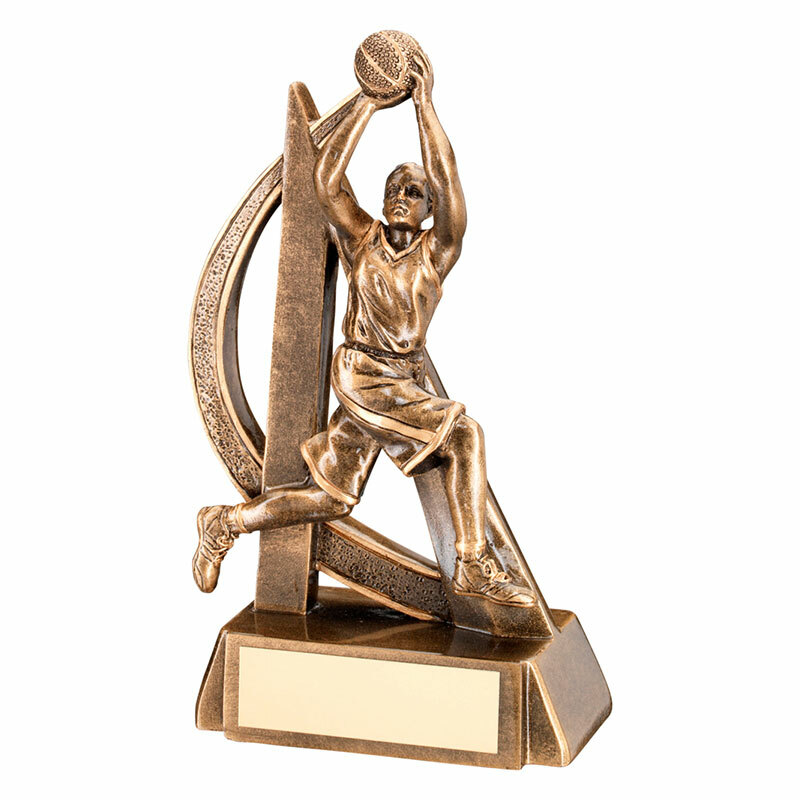 A stylish basketball award trophy that is ideal both for individual women's basketball player awards or as women's team basketball trophies. Crafted in resin, it features a detailed figure of a female basketball player in action, set on a base with metal engraving plate. The player figure is finished in antique bronze and gold and is 7in (178mm) tall.